The University of West Florida appears in our ranking of the 10 Best ABA Master’s Degree Programs in the East. With autism and developmental disorder diagnoses increasing annually, the demand for practitioners certified in applied behavior analysis is also increasing. The University of West Florida offers undergraduate, graduate, and post-graduate programs in applied behavior analysis in order to help meet this need. The undergraduate BCaBA program is a four-course sequence offered entirely online. Students must take Health Science Essentials of Behavior Analysis, Problem Identification and Functional Assessment in Health Science, Methodology in Behavior Analysis, and Functional Applications of Behavior Analysis in Health Science. Many students in this program combine this program with the B.S. in Health Sciences Degree or the B.S. in Psychology option, as the BCaBA program is a certification option rather than an entire degree. Similar to the undergraduate program, the graduate BCBA online course sequence is designed to be added to a master’s degree program in psychology, counseling, or special education. The graduate sequence includes six core courses that are three credits each, plus a choice of two elective courses. Completing this course sequence, in addition to a master’s or Ph.D, fulfills the education component of the BCBA certification and prepares students to sit for the BCBA examination. This same course sequence is available as a post-graduate option for those who already have a master’s or doctoral degree and would like to meet requirements for BCBA certification. The ABA course structure is different than the typical college semester in that only one course from the program is able to be taken at a time. Each course is 12 weeks in length and all courses must be taken in sequential order. However, courses within the learner’s primary major may be taken at the same time as the ABA courses. UWF begins new cohorts every semester so students are able to start in the fall, spring, or summer. Students will have live interaction with instructors and peers in a virtual classroom, in addition to completing assignments and viewing lectures at their convenience. Students also have the option of watching recordings of many of the class lectures. Lecturers and instructors all actively work in the field of applied behavior analysis, bringing expertise and experience to the classroom. The University of West Florida is housed on a 1,600 acre campus in Pensacola, Florida. The university offers undergraduate and graduate degrees, in addition to continuing education, both online and on-campus. The current enrollment is approximately 13,000 students in 70 degree programs, with 78% of students enrolled in the undergraduate program and 22% in the graduate program. Students at UWF enjoy small class sizes, with the average class size being only 35 students. The University of West Florida’s focus on online coursework and flexible offerings consistently earns the university a ranking as a top “military friendly” university by multiple publications. BestColleges.com ranked UWF as silver on the “Schools of Distinction Award for Online Education Excellence” in 2018. Also in 2018, AppliedBehaviorAnalysisPrograms.com ranked UWF’s ABA program as #8 in the “Top 15 Best Applied Behavior Analysis Online Programs”. The university has also received numerous accolades for its special education program. A unique fact about UWF is that in 2018, BestValueSchools.com ranked the university as #2 in the “20 Best Value Colleges for Students with Autism”. CollegeChoice.net also ranked the University of West Florida as one of the “Best Colleges for Students with Autism”. This shows that not only is the University of West Florida committed to educating future ABA specialists that will work with individuals with autism, but the university is also committed to ensuring that those with autism can access a college education. In fact, the university also offers a Disabled Student Scholarship to those students with a documented disability and financial need. 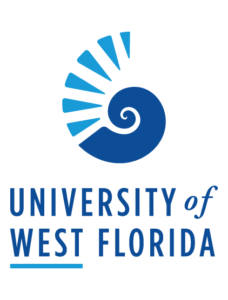 UWF also has a program called Argos for Autism, which offers academic planning, social and life skills assistance, and career preparation services to enrolled students with an autism diagnosis. Students in this program can also receive 1:1 individualized support and coaching. This unique program is a free resource to students with an autism diagnosis enrolled in any of UWF’s degree programs. Students wishing to enroll in the ABA program can do so as a degree-seeking or non-degree seeking student. The application is slightly different for each of these categories, but degree-seeking students must be accepted to UWF as a full- or part-time student. All prospective students must create an online account at the university’s website. Application deadlines for degree-seeking programs vary by semester, but priority admission decisions and scholarship application deadlines occur in early November. Students who are not accepted to the college by early November are not eligible for maximum scholarship consideration, although applications are accepted until late spring prior to the autumn start date. The University of West Florida’s ABA program falls under the global online campus, and thus students pay a per credit hour rate. For undergraduate courses, the in-state tuition rate is $218 per credit hour and out-of-state tuition is $648 per credit hour. The graduate level courses are $384 per credit hour for in-state tuition and $1,044 per credit hour for out-of state tuition. The online campus of UWF does offer tuition waivers for out-of-state students that only take online courses, significantly reducing tuition to just above the in-state rate. Active duty military receives the in-state tuition regardless of where they claim residency. There is no financial aid available specifically for the applied behavior analysis track. Students taking only those courses and are not enrolled in a degree-seeking program are not eligible for financial aid. However, students that are seeking a full undergraduate or graduate degree are eligible for the full range of financial aid, including loans, work-study, merit-based scholarships, need-based scholarships, and grants. The University of West Florida’s website states that they offer $99 million in grants, scholarships, and loans each year. More information on the University of West Florida’s ABA degree program can be found on their website.